She is a photo-graphic designer, she creates images that depict cities and people. The city and its everyday context are pretexts for several studies: topographical, anthropological, social and poetic. She reconstructs the space and its daily environment to transform the city into a theater and passers-by into actors. With a multi-dimensional photographic practice, she illustrates the art and the way to move along, live and experience the city. Author for the press and publishing, she spreads her work through the Cooperative Photographic Source Picturetank since 2004. Since 2005, she follows through photographic documentation and participative visual art projects the collective works of Constructlab, Exyzt and Coloco among others. Julie Guiches is also involved in the field of contemporary art by making pieces that mix photography and contextual art, extra-muros installations that become part of the city. Julie Guiches participates actively in various networks between Paris and Brussels, between the fields of photography, architecture, performative and visual arts. 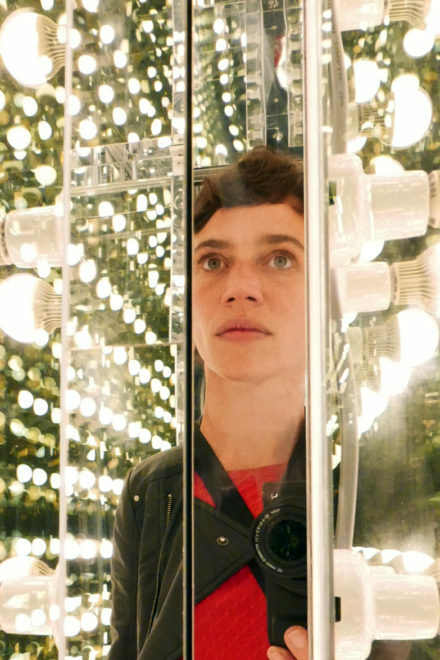 Through these collaborations, she develops tools and participatory techniques that encourage audiences to speak about their daily environnement and help them put their own context into perspective.